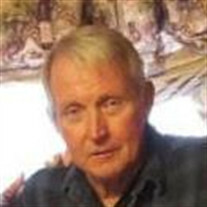 Asa R. Armour, 70, of Hannibal, MO passed away at 3:38 p.m. Friday, April 20, 2018, at Blessing Hospital in Quincy, IL. A memorial gathering in honor of Mr. Armour will be held 5:00 to 7:00 p.m. Friday, April 27, 2018, at the Smith Funeral Home & Chapel in Hannibal. Asa was born on June 5, 1947, in Hannibal, MO. Survivors include a son, Darren Armour (Angela) of New London, MO; daughters, Teresa Fuller (Rex) of Quincy, IL, Dawn Selsor (Byron) of Hannibal, MO, Lori Naumann (Matt) of Ottumwa, IA, and Amanda Armour of Hannibal, MO; sisters, Roma Lee of Quincy, IL, Penny Larenson (Rev. Dewayne) of Philadelphia, MO, and Bertha Dooley of Festus, MO; grandchildren, Jordan Armour (Taylor), Megan Armour, Andrew Fuller, Brandy Fuller, Elijah Selsor, Joseph Naumann and Benjamin Naumann; great granddaughter, Lennox Armour, and several nieces and nephews. Mr. Armour was preceded in death by his adopted parents, Pete and Ruth Armour, and brothers, Milton Walden and Bobby Walden. Asa graduated from Hannibal High School. He proudly served his country in the U.S. Army as a mortarman during Vietnam. Mr. Armour retired from Continental Cement and spent most of his retirement working. After retirement, Asa worked as a truck driver for Chester Bross Construction and also worked for Frank Peters as a farm hand in East Hannibal. Asa enjoyed the outdoors, anything from fishing, gardening, farming to just sitting on the front porch with his dogs picking his guitar. Mr. Armour was an avid reader and shuffleboard player at Sportsman's Bar. Asa enjoying the fellowship of his friends at the Water Hole and Sportsman's Bar. Asa cherished the time spent with his family, especially his grandchildren and great granddaughter. Mr. Armour was Christian by Faith. Memorial contributions may be made to Asa's great granddaughter's college fund Lennox Armour, in care of the Smith Funeral Home & Chapel.